It’s been a housekeeping month with MISMO as we get ready to re-introduce and formally approve the rent roll and operating statement standards. Fortunately, we’ve been able to base our work on a subset of the residential procedures and standards. The C-MISMO board should approve the procedures this month, and we will have the two standards published shortly thereafter. Another MISMO development worth sharing: The residential group is creating a new work group for securitization standards. The solicitation letter stated the effort would take about a year, with the goal of creating a MISMO road map for the residential investor reporting package. On the commercial side of the business, the Commercial Real Estate Finance Council (CREFC) controls the Investor Reporting Package standard. MISMO is currently not involved. Given the fact that MISMO is inserting itself into the residential side, it will be interesting to see if they plan a similar move on the commercial side. If they have the ear of the regulators, and Dodd Frank demands XML reporting, you never know. Jim Flaherty is CEO of CMBS.com and the creator of the Backshop loan origination system. He is a trained credit professional with experience installing enterprise underwriting systems for commercial real estate lenders, rating agencies and investors. 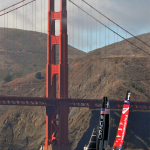 Feds issue risk retention rules Awesome Team USA comeback at America’s cup!